Mandalong Kiss was in front after a bit of a battle, but it was Northern Journey quickly being rolled forward from deep to take up the lead. Birds of Tokyo trailed in but was caught wide and so kept pushing, moving to a clear second from Mandalong Kiss and Crown Moss. My Giuliano was next with Erika improving around it, with Malleable and Firebird Flyer bringing up the rear. Berry really put the foot down on Erika and sped to the front, taking the lead along the back with only Northern Journey looking to keep touch, the two going fairly hard at each other into the side of the course as Birds of Tokyo led the pursuit. Birds of Tokyo would get there in the straight, along with Mandalong Kiss from wider, lengthening nicely. My Giuliano also kept coming, but all the momentum was with Mandalong Kiss. Bit of a battle for the lead with Pirate Ben pushing through to take it from Extensible on the rails and Rhodin Drive on the outside. Antonio Giuseppe was next from Shards a little deeper, whilst Takewing missed the start and remained some six lengths off the field. Extensible and Rhodin Drive pushed up to lead into the side, Pirate Ben relaxing into third, whilst further back Takewing finally caught up and tacked onto the back of the field. Extensible cornered on the fence and led into the straight, whilst Rhodin Drive and Antonio Giuseppe looked to have the momentum of the others. 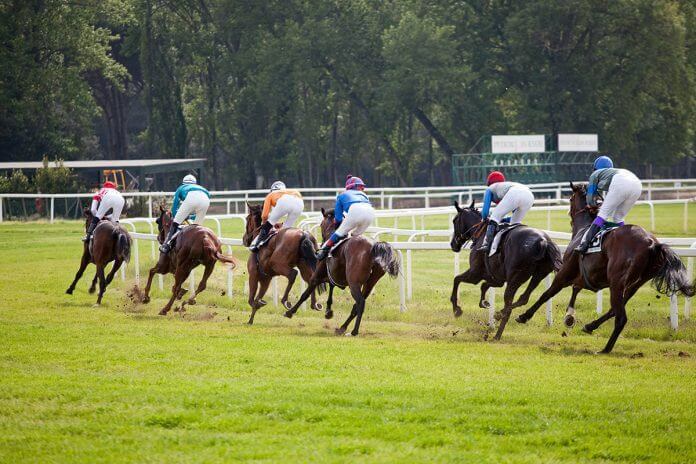 They spread across the track with Shards and Takewing widest, Antonio Giuseppe running on to ultimately take it narrowly from Extensible, who refused to lie down. Cocoexcel was hardest out of the tiny field with Evacuation rolling forward on the outside of Pipeline, and Tumultuous and Savvan at the rear. Evacuation and Pipeline were caught reasonably deep for the journey, as Bowman went reasonably soft on the leader. He cornered in front with Evacuation and Pipeline wider, and Savvan and Tumultuous looking to get a run up the inside. The early leader fell away as the rest sprinted to the line, Evacuation the strongest to win in eye-catching style. Moss My Name hustled to the front from quite deep early, Alliterate tracking it through from Akasaki on the fence and Snippet of Hope. Fifteen Sunflowers was next outside of Beside You, with a length then to Farah in front of a deep Ocean Grand, Charge of Light, and Atlantic Sentinel last. 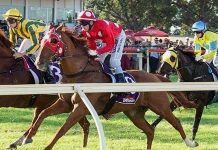 Panya looked confident aboard the leader and cornered out a little wider, offering Akasaki and Beside You a good look up the inside, the latter looking to taking advantage of it. It was Moss My Name proving the strongest however, with good finishes from Fifteen Sunflowers and Farah. Watch: Moss My Name, Fifteen Sunflowers. Plenty of speed here, Allez Chival bounding out up the inside to lead early from Magnajoy coming across into second, as they left a length or two to the rest. Highly Geared was third the fence from Momma’s Snitzel, with a further couple of lengths to Mad About You, Our Harmony, Zoumagic inside of Shahrazad, then Rose of Man, Alucinari and Muy Bien. They fanned right out in the straight with most getting a good run at it, the leader on the rails with Highly Geared and Magnajoy leading the chase. Alucinari was devouring track to run up between them and almost take it, Highly Geared holding out with solid finishes also from Zoumagic and Rose of Man further back. Watch: Highly Geared, Alucinari, Zoumagic, Rose of Man. Encostanati won out at the start from Snoopy and Wild ’n’ Famous, then Gold Symphony and Kellyville Flyer, with a length to Sir Bacchus, Handfast and His Majesty snagged back. Panya really let Encostanti go as expected, holding a very strong gallop around the corner and into the straight. Wild ‘n’ Famous, Snoopy and Kellyville Flyer led the chase, with the big runs from wider coming from Sir Bacchus and Handfast. They all hit the line very hard, Sir Bacchus the best to hold them out for the win. Watch: Sir Bacchus, Snoopy, Handfast. Great line-up for the feature, with a slight delay due to power issues forcing a manual start. El Divino got out hardest from Star Turn, then Manolo Blahniq with Nikitas caught outside. 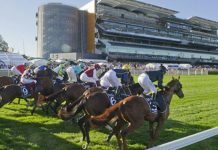 Stablemates Impending and Astern were next, followed by Cellarman wide out, then Mediterranean, Tessera, Gadfly, Good Standing and Telperion. Fairly orderly going around into the straight, Nikitas, Cellarman and Telperion caught widest and stepping out in the turn, whilst El Divino up front was being swamped by Star Turn, Manolo Blahniq and Astern up the inside. 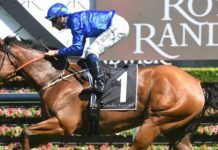 Astern and Star Turn were clearly travelling best, the two in a race of their own to the line, the former taking it in a grandstand finish. Not much contest for the lead with Loud Debate eventually coming across from well wide to take it from Singing, with Loophole next, then Sofin and Allergic, followed by Sense of Occasion, Magic Hurricane, Ruling Dynasty and Song and Laughter a long last. Loophole moved up the outside to put some pressure on the leader along the back of the course, before taking a bit of a breather along with the rest of the field. Sense of Occasion and Ruling Dynasty were caught wide the trip with favourite Allergic back in the field in a bit of a pocket as they straightened. Singing and Magic Hurricane cruised up to take the lead and Clark was intent on tracking in on Sense of Occasion, which boxed Allergic in and took away the favourite’s chances. The three leaders hit the line together, Magic Hurricane on the outside getting the chocolates. Favourite Chetwood led them out on the inside from Conarchie and Ever So natural pushing through, then Orcym Sam, Can I Have, Cannyescent caught a little deep, We’re Sure and Labdien whipping them in. Real speed from the favourite as McDonald kept pushing, opening up a few lengths on Conarchie who himself had about three lengths’ breathing room. The gaps closed up into the straight as McDonald took Chetwood across to the middle of the track, but the result never looked in doubt as he ran away to take an impressive, bold win. Horses to follow: Madalong Kiss, Evacuation, Fifteen Sunflowers, Alucinari, Sir Bacchus, Handfast, Astern, Star Turn, Magic Hurricane, Chetwood.